The Bells and Clockface have now been refurbished and returned and a short service to bless and commission the bells and clockface is arranged for Sunday 17th March. Fantastic news! Thanks to all the donations we've now raised £10,000 to renovate the two bells in St. Paul's Church and replace the hangings that hold them in place in order to make them safe and usable again. Thanks to all who have already donated to this cause, work started in October and we are hoping it will all be completed in February 2019. 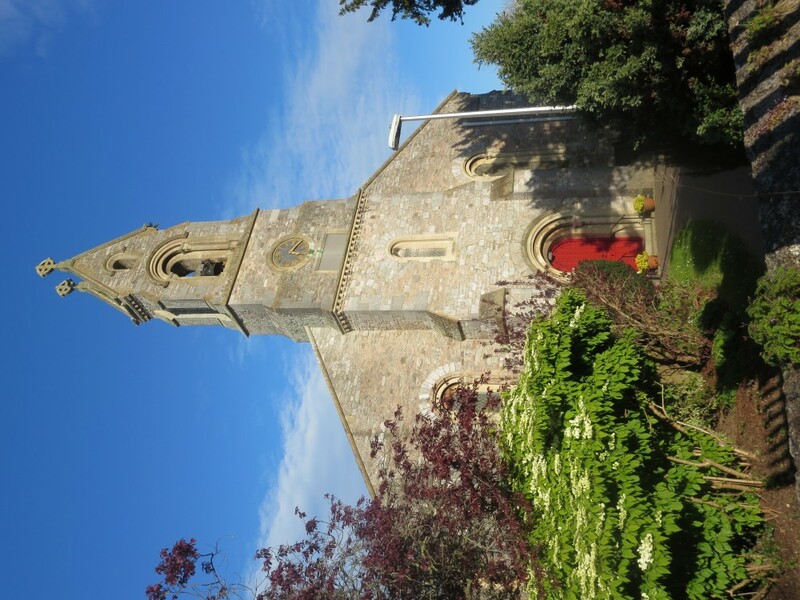 The Church in Starcross (St. Paul's) isn't as big as its namesake in London but its bells used to be heard all across the village. Many years ago the small bell which was used to call the villagers to Church became unsafe to use and has not been rung since. The larger bell, which now only chimes the hour, was hung with the mechanism to ring it but I can find no-one in the village who remembers it being rung so it obviously became unsafe a long time ago. Even when it chimes the hour now it has a strange tone as the hammer remains resting on the bell after it has struck it. We have been told that the hangings that hold the bells in place are now in need of replacing and we do not have the choice of doing nothing as they will only deteriorate more over time. We would like to be able to join in with the Ringing out for Peace event that will be a part of the "Battles Over: A Nations Tribute" on 11th November 2018 to commemorate the end of the First World War (http://www.brunopeek.co.uk/battles-over.php) but won't be able to if we have no bells! We are a small congregation in St. Paul's and we will struggle to raise this sort of money just amongst ourselves. However, we feel that the Church is an important part of the wider community and the bells are a very tangible sign of that. Please help us to return the sound of well tuned bells back to our community.